It is an incredible feeling you feel, when you give back. I believe it is something we all need to feel. The photo below is of my son Christopher giving back. 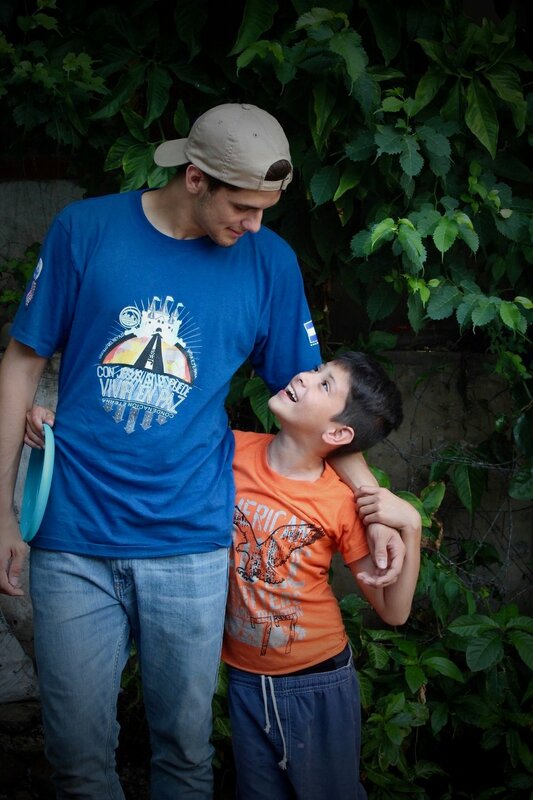 He was apart of many of our trips to El Salvador and here he playing with one of the children in the feeding program that "YOU HAVE A STEAK IN IT" supports. Over 126,000 meals have been given to children in need, locally, nationally and internationally through the program so far. We at BY GEORGE, thank you for your support. We are planning a trip to El Salvador this year, and we can not wait to see the children and share with you what your support has meant to them.